In the entire tablet manufacturing process, it is essential to choose with the efficient tablet compression machine. By choosing the right tablet compression machine as well as the tablet press machine it will have cost-efficient production. In order to produce with the cost-efficient product, a number of companies have chosen with the good tablet press machine as well that aim to eliminate counterfeits in the market. Compaction is a process in tableting that determines both the physical and chemical properties of a tablet. 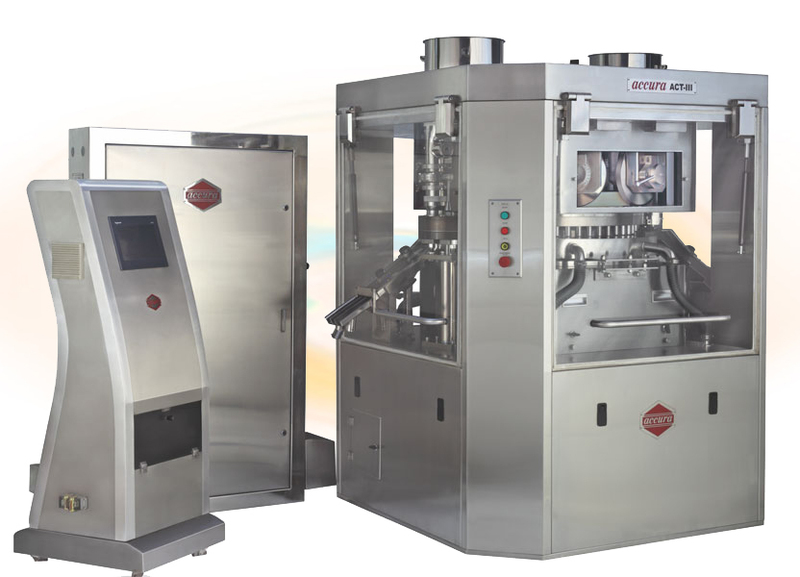 To product with the right tablet, with the required size and shape it is necessary to have the right tablet compression machine as well as tablet press machine. Standardization is one of the important aspects to be considered with the tablet compression tooling machine. Tablet Punches determines the efficiency of the tablet compression process. Dwell time helps to improve the performance characteristic of a tablet. To get the fast, efficient and fault-free tablets, it can be achieved by knowing with the dwell time of your tablet pressing machine. Choose the right component for the tablet press machine. The basic principle behind working with the Tablet Compression Machine is the hydraulic pressure. The pressure is been transmitted via static fluid to all directions in the same proportion. Multiple force is also been applied if needed. 1 – Filling: It is a process which includes transferring the granules into the position for tablet compression. It consists of the punch- dies cavity where the granules are been adjusted according to the weight. 2 – Metering: Metering is the process of removal of the excess granules from the tablet compression machine. In simple terms it can be explained as for example, it is similar to the process used to determine the weight of flour during making a cake. 3- Compression: Compression is the main stage where the top and bottom punches come together by pressure within the die to form the tablet. 4- Ejection: Ejection procedure is nothing but the removal of table from the lower punch- die station. There is also another type of machines been used in the pharmaceutical industry. Different machines include Tablet press machine, Mini Tablet Press, Tableting Machine, Rotary Tablet Press. All these machines differ from the different technical specifications as well as the working mechanism. It is the desire for every business to manufacture with right and efficient performance. This can be achieved with table press machines or other table making machine with appropriate features. It ranges from choosing the tool, considering tablet requirements as well as analyzing the machine specifications. We at Fluidpack offer with the wide range of tablet making redefining quality standards and performance of Tablet Press Machines. Next Next post: Which Type of Tablet Press Machine You Should Buy?